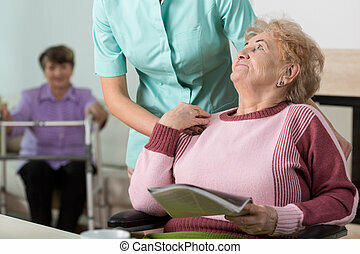 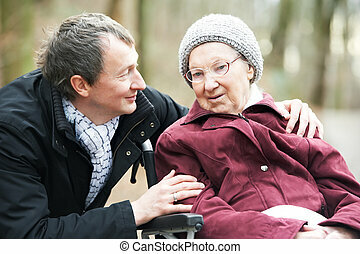 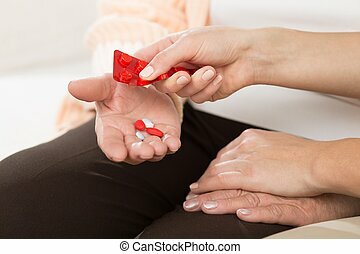 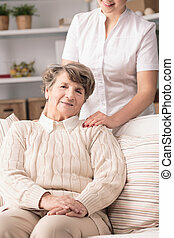 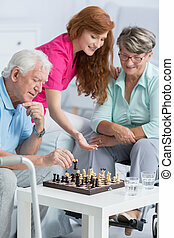 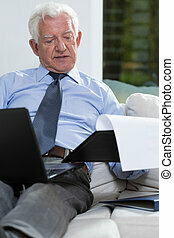 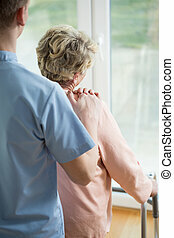 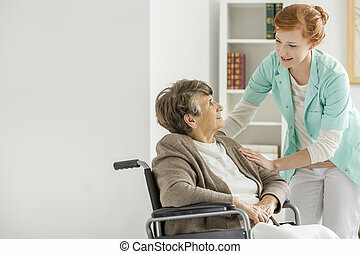 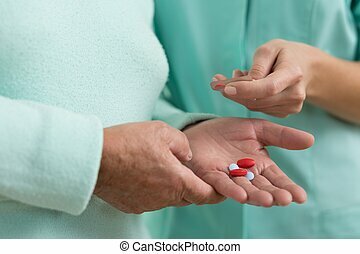 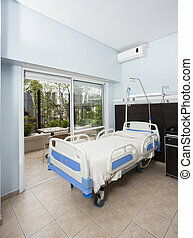 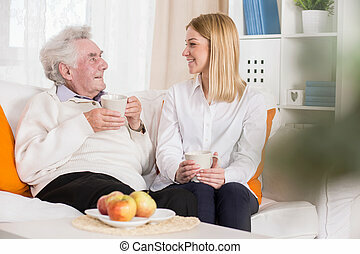 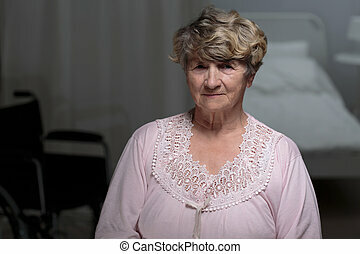 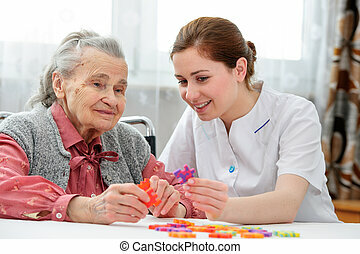 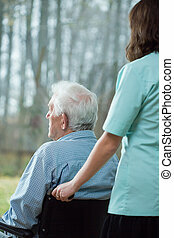 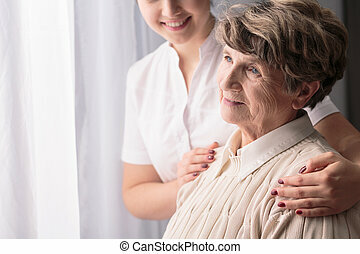 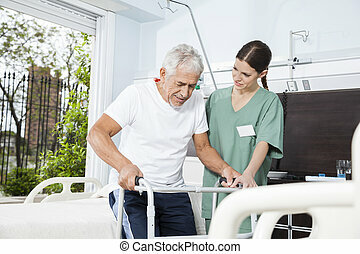 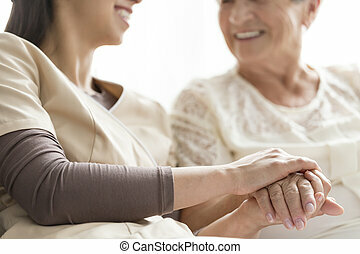 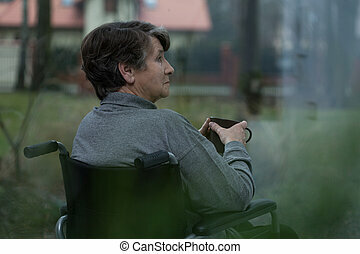 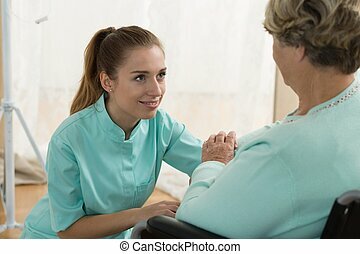 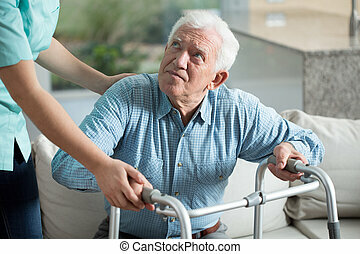 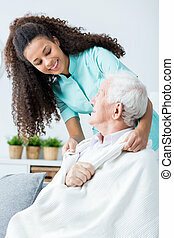 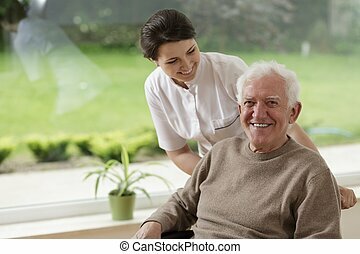 Rehabilitation in nursing home. 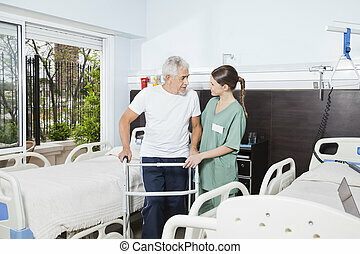 Horizontal view of rehabilitation in nursing home. 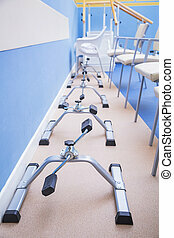 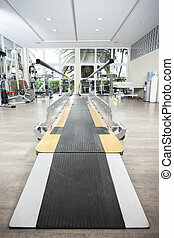 Recovery equipment used by the physiotherapist for rehabilitation in nursing home for assistance to elderly. 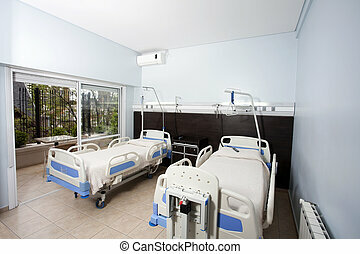 Health reductive gymnastics. 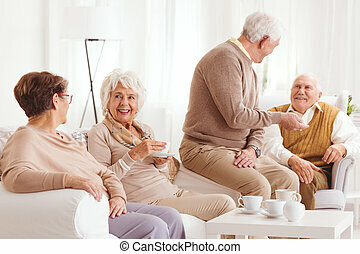 Elderly elegant woman and men having teatime at table in living room of nursing home for aged people. 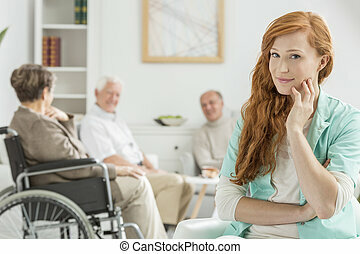 Adult woman in denim and jacket sitting in cabinet of assisted living facility smiling at camera. 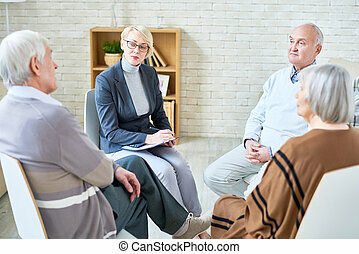 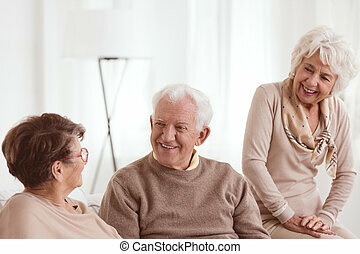 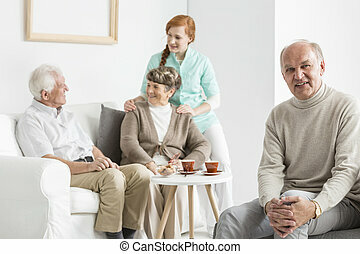 Woman sitting with elderly people in circle having consultation while working in assisted living home. 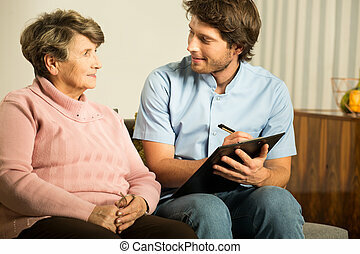 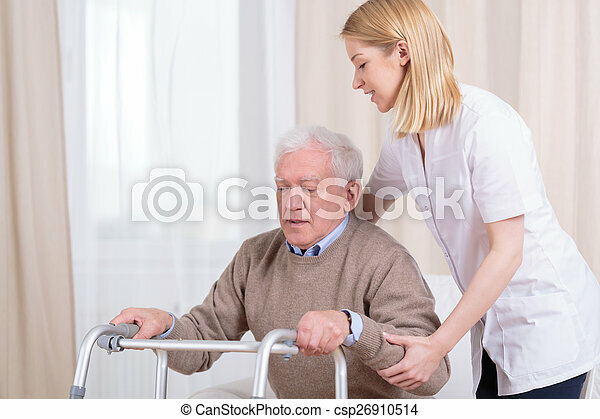 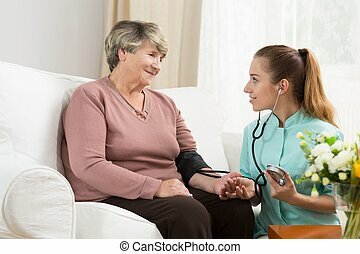 The doctor examines an elderly patient in a nursing home. 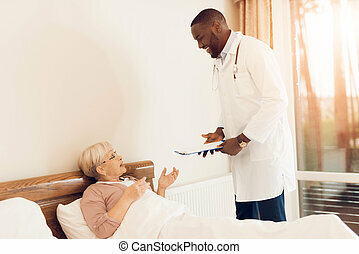 She lies in bed and talks to him. 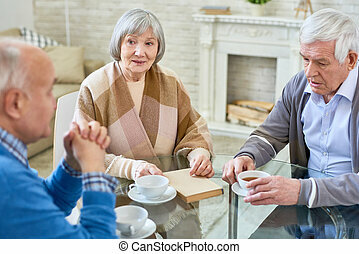 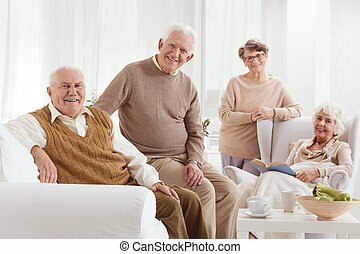 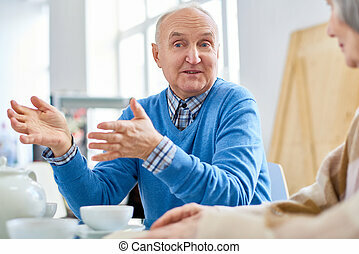 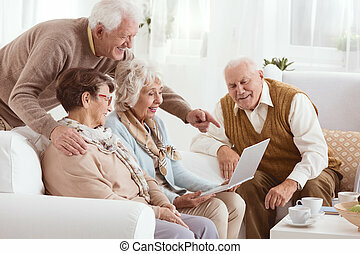 Group of elderly people sitting at table in assisted living home and taking in relaxation while drinking tea.